Andy Totman and Anna Russell at Gallery 43, Wagga. 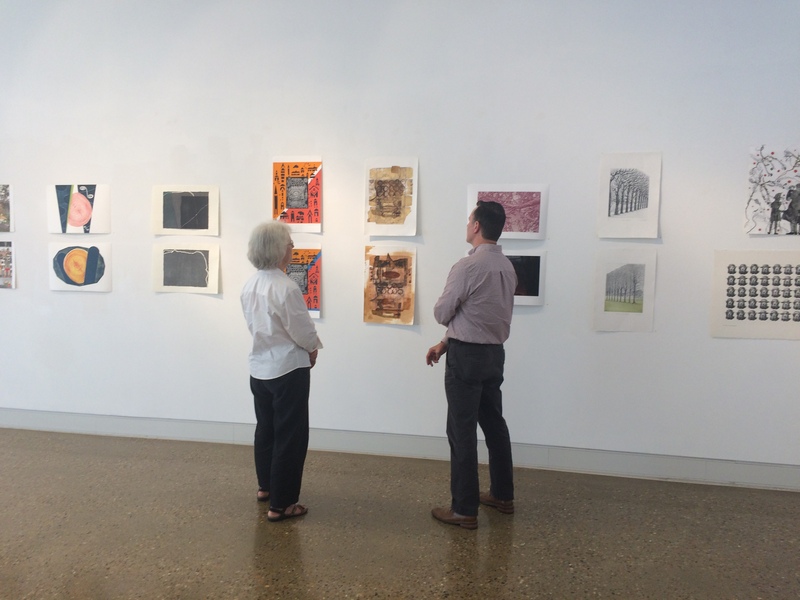 This exhibition of Sydney Printmakers work looks very good in this large and airy space. Filed Under: Exhibitions Tagged With: Andy Totman, Anna Russell, Exhibition, Gallery 43, Riverina TAFE, Sydney Printmakers, Wagga. Filed Under: Exhibitions Tagged With: Gallery 43, Sydney Printmakers, TAFE, Wagga.